Last month while in Stockholm on a four day holiday visit I found two novels by a Swedish author I hadn't come across before, Lars Kepler. I visited several bookstores there, all had English language sections, and at Pocket, Götgatan 40, Södermalm. 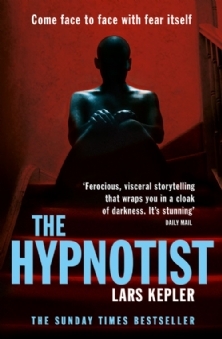 I enquired about Swedish crime fiction authors I might not have come across before and the staff member recommended The Hypnotist and The Nightmare by Lars Kepler. They are published by Blue Door a Harper Collins paperback imprint specialising in commercial literary fiction and non-fiction. I read the first one on the plane coming home to New Zealand and since returning have read the second. They are both huge - 600 pages plus - brilliantly constructed, enormously complex, multi-stranded, at times quite disturbing and utterly engrossing stories featuring the unconventional Joona Linna, Chief Inspector at the National Police in Stockholm. 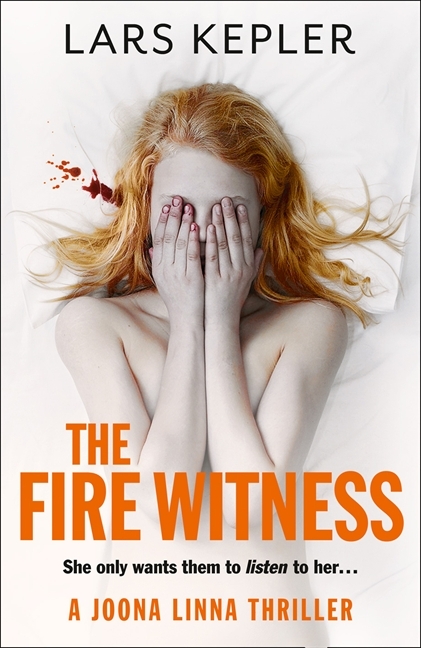 And now I see there is a third title coming from Harper Collins in July, The Fire Witness, and I can't wait to get my hands on a copy. Interestingly Lars Kepler is a pseudonym used by Swedish writer couple Alexander Ahndoril and Alexandra Coelho Ahndoril both previously published authors. If you are a crime fiction buff and like big solid, complex reads then I warmly recommend these titles by Lars Kepler. Be prepared though to be kept awake at night! I read The Fire Witness in German. It is engrossing and disturbing at the same time.When I say read, I mean I listened to the audiobook. I also listened to the other ones in the series. I hope there will be more coming.